We are a family-owned business. We like to think of our customers as being part of the family. We have over 2,500 customers right now. Probably close to 5,000 different sites that we service. From Bakersfield down to the Mexican border, from Arizona across the coast – all of the southern half of California. 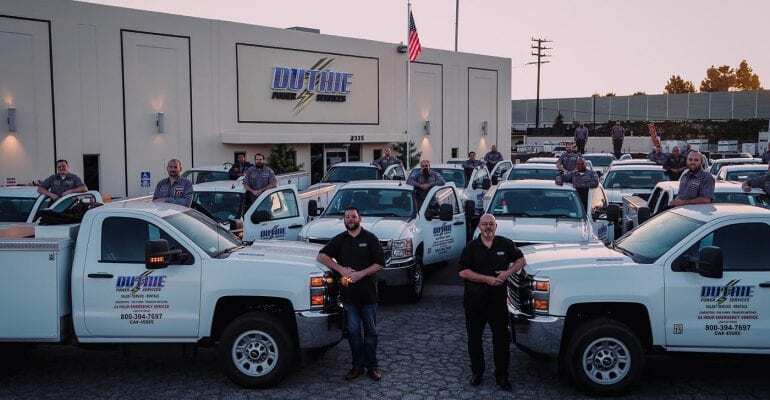 When you become a customer of Duthie Power Services you become a part of the family. That is how we intend to expand the business is by treating everyone like they are part of the family.